This week was the beginning of what I suspect will be a long and painful project at work. If I wanted to deal with mergers and acquisitions, I would have gone to business school. Instead, I went into medical school, but nevertheless here I am. Like so many other health systems across the US, mine has been in growth mode. We were accelerating the growth of our employed medical group going back as far as 2008. The push towards more tightly integrated delivery systems has only added fuel to the fire. We had previously been purchasing groups in the three- to 10-physician practice space, with a couple of outliers that had 15 or so physicians. Now we’ve gone and purchased a 75-physician group. I’m sure it looked great to the hospitals as a way to further consolidate their referral bases. It was also a grab for the revenue that the new group’s imaging division was bringing in on the side. I immediately scheduled a series of meetings with their leadership and IT teams and our counterparts to figure out what had been promised by the C-suite and how we were going to deliver it. It’s bad enough to have to deal with a culture shift, but when technology and millions of dollars in incentives are involved, the problem is magnified. Our C-suite has a track record of promising technology projects that they can’t deliver (such as a complete EHR conversion in 30 days) so we quickly formed a betting pool to entertain just how bad this might get. One of the reasons they get us into these kinds of binds is they’re afraid to involve too many people in the acquisitions. They fear that other physicians will get word of them and become demanding or that there will be a loss of bargaining power if it’s public too early. I understand that, but I also understand the need to do due diligence around merging or converting IT systems before the promises are made and the papers are signed. Every once in a while, one of the VPs will ask someone from IT to “look under the hood” at an acquisition target, but it’s usually more along the lines of valuing their hardware, calculating their maintenance, and figuring out how to connect them to the hospital backbone than it is to assessing the quality of their data and how well their workflows and care gel with our existing best practices. Unfortunately, the ink was already dry before I knew about it. Our group president made some assumptions that since our target was on the same EHR as we are that it should be fairly easy to just “throw them on our system and have them attest with our docs.” Oh, so much easier said then done, my friend. When I started throwing out reasons why it doesn’t really work that way, he actually referred to me as Debbie Downer and reminded me that we have to make it work because we already said we would. I can’t believe that’s what passes for leadership these days, but our health system seems to love this guy. He’s personable and kind of a teddy bear, but he’s generally all fluff and no stuff, which leaves the rest of us to scramble around behind him to try to make things work. This week began the series of meetings to try to figure out how to deliver the impossible. We now have two installations of the EHR to deal with. Their group has a lot of primary care docs that refer to our specialists. Given the number of common patients between the platforms, I’m not confident of being able to do a clean conversion without a lot of data integrity issues and a substantial commitment for clinical cleanup even if we had a nice long time interval. That’s problem number one. Problem number two is that both installations have to take a major upgrade before we start the attestation period for Meaningful Use on July 1. Leadership assumed we could combine the systems quickly and do a single upgrade, but in addition to the patient issue, we also have a fair amount of customization and client-specific configuration on each system that will have to be evaluated. We can’t just throw it all away and assume physicians will be immediately facile on a plain vanilla system. We also have the issue that at least 40 of their providers are going to be attesting for MU the first time. That means that not only do we have to get their upgrade live early enough prior to July 1 that the users have enough time to burn in the new workflows and make sure they’re entering quality data, but we need to plan to have our MU and auditing teams work around the clock at the end of the quarter so we can attest for them by the deadline. Problem number three. Let’s see, the end of that quarter also puts us at October 1, which is ICD-10 go-time. That makes problem number four. Let’s back up a little, though. If they’re such a solid, established group, I wonder why more than half of them are just now going after MU Stage 1? That was the topic of Wednesday’s half-day working session, when I really dug into the fact that they think MU, PQRS, and other quality initiatives are IT projects. That’s when I came up with problem number five, which unfortunately is the biggest one of all. The reason they haven’t attested yet is they’ve been attempting to have IT lead all these projects without adequate operational and clinical support. They seriously think that there is some kind of magical IT wand that will be waved around and the physicians will do what they are asked along with all the support staff. They have zero physician alignment strategy. Physicians have no financial skin in the game for MU or any of the other incentive programs. They don’t even have a standard physician contract. All the physicians have been able to negotiate their own deals even those in the same physical location. That makes it a little tricky when partners are able to earn the same income seeing dramatically different numbers of patients per month. The IT team listed off more than a dozen resentful bitter physician disagreements without even taking a breath. At least all of our physicians were migrated to a common contract in tandem with our EHR project more than half a decade ago because we realized only money would align them with our goals. These folks (including the one operations person that bothered to show up at the meeting) acted like they have never heard such a thing. Their staffing ratios are also a mess. Everyone has the same number of support staff regardless of specialty, productivity, or how they run their offices. There is no common scheduling methodology across their locations, which adds another worry of how we’ll do an appointment conversion if we decide to do one when we move them to our database. No wonder they were ripe for the picking — they were undoubtedly losing money with how they were running. By the end of the meeting, I was scarfing down Advil like they were the green M&Ms in Inga’s Quipstar dressing room at HIMSS. I spent most of Friday with my trusted lieutenants trying to figure out how we’re going to do this and still preserve our sanity and keep our team intact. After looking at all the pros and cons, I think I’m going to be lucky to make it through the next two quarters without losing my own mind or quitting my job. My liver can’t take as many martinis as I think I’ll need to get through the inevitable goat rodeo this will become, so I figured it was time to find a less-harmful way to self-medicate. My drug of choice: pastry. This week’s offering is pictured at top. I’m a big fan of doing things old-school so I can let out my stress cutting the butter into the flour by hand as I pursue the perfect crust. I can release my creative energies by trying different fillings. If I really need to escape, I can do decorative top crusts or make little designs with dough cutouts. I may not be able to make this project work, but I’m armed and dangerous where an egg wash is concerned. I’m going to go all Martha Stewart in my free time, just without the insider trading or the prison term. Got a recommendation for pastry therapy? Email me. What I love in these types of conversations is the promise of “forcing functions.” The idea is that there is this thing called a “forcing function” that will force physicians to do a particular thing in the computer system, without any side effects. Forcing functions are the solutions to all problems, as evidenced by their successful implementation at places that people have heard of. The major barrier to these solutions is the general dim-wittedness of IT leadership, especially the CMIO. At least that’s how it has been explained to this CMIO. Great post…. If only this was an exception rather than the rule. Clearly there are/were C-level issues in both groups. You and your team certainly have their work cut out for them. The cultural shift for the new group is going to be quite a shock. Good luck…. Dr. Jayne – You are my new hero. You have so thoroughly articulated the issues and still somehow kept some perspective. This is something so many of us can relate to. I’m going to send you one of my great recipes. I too bake like a crazy person when stressed. 1. In a large bowl, cream butter and sugar until light and fluffy. Beat in egg and vanilla. Combine flour and baking powder; gradually add to creamed mixture and mix well. 2. Roll out dough between waxed paper into a 12-in. square. Remove top piece of waxed paper. 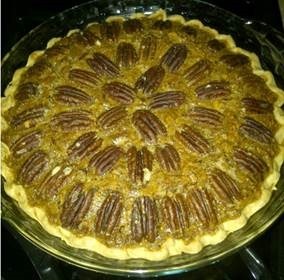 Spread dough with jam and sprinkle with nuts. Roll up tightly jelly-roll style; wrap in plastic wrap. Refrigerate for 2 hours or until firm. 3. Unwrap dough and cut into 1/4-in. slices. Place 2 in. apart on ungreased baking sheets. Bake at 375° for 9-12 minutes or until edges are lightly browned. Remove to wire racks to cool. Yield: about 3-1/2 dozen. That one comment referring to you as ‘Debbie Downer’ seals his fate as incompetent. You should be very afraid if he is seen as a key player in your c-suite (and so should every employee in your system…). I’d love to say that it would be inconceivable that a deal like this would happen, but then like Vizzini, I’d be wrong (though hopefully not end up dead). Good luck with what appears to be an impossible task! If it’s any consolation this is the mirror image of what happens when vendors get sucked into the M&A maelstrom. Same story…we bought it now you make it work. No doubt your next step will be to ask for budget resources to do the job and if you get half of what you need you’ll be lucky. Of course if they had asked you what resources might be needed before they signed on the dotted line and you spoke the truth…Debbie Downer will have been a mild label. Don’t you just hate people that have ‘vision’ but no idea how to get there, nor do they want any part of the heavy lifting. Great insights Dr. Jayne. I loved the in depth look at the “easy” practice acquisitions that are happening everywhere. It’s like the CEO thinks you just wave a magic wand and the IT systems merge. Crazy thinking. Your description of MU and the challenges of getting on the right software and everyone attested in time reminded me of Mandi Bishop’s Eyes Wide Shut series: http://www.emrandhipaa.com/tag/eyes-wide-shut/ I’m sure you’ll enjoy and be able to commiserate with her. These types of transactions is why patient care outcomes will not improve, as the focus is on the process and the profit and not the care is this hasty radical remake of medical practice. I love it! “MGINO” as in medical groups in name only. There are quite a few cowboys out there sharing space and not much else holding themselves out as ‘group practices’. Thank you so much for putting into words exactly how I have been feeling. You actually make me feel better about my situation, mine doesn’t seem quite as insurmountable as yours. Maybe this is why Ed climbs so many mountains all the time, it makes situations like these seem like a breeze. Keep your head up and your waistline slim, or try to. (a new favourite tart dough recipe from the fabulous David Lebovitz). 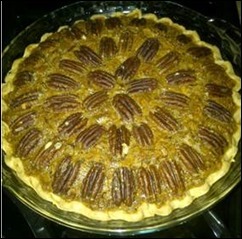 That pecan pie looks good. Here’s my recommendation: Top it with high-quality ice cream and then some Pedro Ximenez sherry. Them’s good eatin’.